All Aboard the Study Abroad Train! Wow! Just the thought of my daughter being able to study abroad is so exciting to me! Nowadays it seems like it is the thing that most college students are doing. From what I hear, the first semester of their junior year is when most kids are going. The latest national report on Study Abroad showed that more than 238,332 students from colleges and universities across the United States went overseas to earn credit during their academic years. There are so many factors involved in making the decision. At UNF there are a few study-abroad programs to choose from. The three study abroad programs are through the Coggin College of Business. The first program is a faculty-led study abroad program. This program involves the student registering for a business class during the spring semester. The student studies a particular business discipline and country throughout the spring semester. During the spring break or at the end of the semester, they travel to the country that they are studying and spend 8-10 days abroad. Through this program, they earn 3 UNF credits and all of the travel arrangements are made for the student. My son, who is at FSU, is currently in an International Accounting class and he will be traveling to England this March through this program at his school. The second program is a summer semester abroad. The UNF summer study abroad program provides the student the opportunity to take courses at UNF’s partner institutions worldwide. This is available either summer A, summer B or both! The student will spend four weeks abroad, earn 6 transfer credits from the partner school overseas, travel with 10-20 UNF students and accompanied by a Coggin faculty member for the first week. The third program is fall or spring semester abroad. This study abroad program is offered in 15 different countries. UNF’s semester study abroad program provides both undergraduate and graduate students with independent opportunities to take a full semester course load (12-18 credits) abroad at one of UNF’s partner institutions worldwide. All classes are offered in English, however, students who have reached the intermediate level of a language would be able to take courses in that language. Students also have the opportunity to take language courses in order to enhance their experience of being in a non-English speaking country. All three of the programs have mandatory meetings that the student must attend. The fall or spring semester programs have much more rigorous meetings before, during and after the students participates in the study abroad program. Click here to view these obligations for the fall or spring program. Regardless of which program your child chooses there will be different financial obligations to consider. I would recommend having your child speak with the registrar and financial aid offices to discuss the fees associated with each program. Students can apply for scholarships to help with the cost of the programs as well as investigating Bright Futures and Florida Prepaid. Below are some helpful tips and guidelines for parents to use before and during your student’s study abroad experience. 1. Make sure your student’s passport as well as yours has a minimum of six months before expiration. You will not be allowed to leave if your passport expires in three months. Currently, the processing time for both is 6 weeks with expedited services in 3 weeks, however, processing time is subject to change. Passports can be obtained from the Post Office or Courthouse. In the event that you need to expedite a passport or visa renewal, try Fastport Passport. They are registered with the U.S. Department of State. 2. Register and enroll in the Smart Traveler Enrollment Program (STEP). It is free to U.S. citizens and will give them important safety information from our Embassy and help them to contact you in the event of an emergency. 4. Consider purchasing an unlocked phone that works on international networks. By purchasing in advance, your student can add their contacts and download their apps ahead of time. 5. Speaking of phones, it is one of the more commonly stolen items in many cities so make sure they are diligent with their phones. That means not putting them in their back pockets or on tables where anyone can walk by and grab them. 6. Make your child an authorized user on your credit card since it does not have any foreign transaction fees. Have them write down the international phone number for the credit card and put it in a safe place (with a copy of their passport). If their credit card is stolen, at least they can report it immediately. 7. Pack light. There are plenty of places they can wash their clothes and if they are traveling through Europe a backpack will make their travel experience much easier. Try the ultralight packing cubes from eBags. 8. 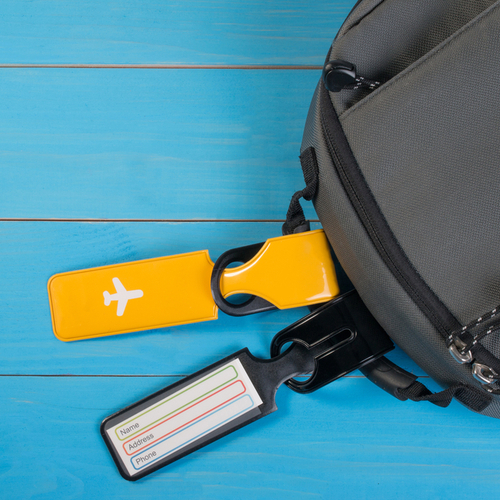 When booking your student’s travel, keep in mind the best time to book an international flight is typically 2-4 months before their travel date. Another tip is to check one-way tickets each way as sometimes you may actually get a better fare than the roundtrip price. 9. Consider purchasing student travel insurance for emergencies, which we pray they don’t need. HaveUHeard recommends Allianz Travel Insurance. 10. If they will be traveling around and staying at hotels, HaveUHeard that students can get a 10% discount if they verify their university status on Unidays? Click here for more information. Or, they can consider staying at a hostel. Hostels are not all so shabby anymore. Check out HostelWorld to see how nice (and inexpensive) some of them are. 11. You may want to consider having your student get Global Entry which runs approximately $100 for five years but makes getting through security so much easier. Or, have them download the Mobile Passport App which is free and helps to speed you through U.S. Customs. (officially authorized by U.S. Customs and Border Protection). They will still need their passport but it saves them time. 12. Download What’s App. It is an app that is available to use whenever and wherever they are at any time. They can also call you from Facebook Messenger (make sure they have wifi) or even FaceTime with you. Non-UNF students can go on a UNF Sponsored Study Abroad program and UNF students can also go to other college’s study abroad programs. This often comes up when they want to go with a friend who goes to a different college. Just make certain they get approval beforehand to be sure the credits will transfer. Study Abroad can be very pricey. In addition to the cost of the program which included room and board, a prepaid metro card (may not last their entire abroad program), health insurance and some excursions, it does not include airfare, meals, additional travel (many use this opportunity to visit other countries). And, of course, any purchases they make for themselves. For suggestions on what they should bring with them, read our Study Abroad Gift Guide.